On May 25th, 2011, Mexico published its new migratory law (Ley de Migración) in response to glaring human rights violations, but as well as the human rights protections, the new law also includes some changes that affect expat foreigners. The current system of FMM’s (tourist cards), FM3’s, FM2’s and Inmigrados is going to go away, at least in name. The old system that was regulated by the “General Law of Population” contained a total of 34 migratory modules, but the new system, according to the law, will include nine types of immigration “conditions”. In the author’s opinion, these nine can be consolidated in three general types of immigration permits: Visitor, Temporary Resident and Permanent Resident, some of which will include subtypes. It is important to understand that, even though the law, technically, went into effect the day after it was published, its original publication was with the caveat that the dispositions pertaining to migratory documents, among others, would not enter into effect until the Mexican Congress approves and publishes the Regulations of the law, which it must do within no more than 180 days from the law’s date of publication. This means that the FM3 / FM2 / FMM system remains valid until the supplemental law is published. There is rumor that this publication will happen soon: some government officials are even calling for an extraordinary session of Congress to approve the Reglamento. Below is the first part of article 52 of the “Law of Migration”, the section of the law that pertains to migratory documents: this section deals with the classification VISITOR, which according to the sixth transitory article of the law will be equivalent to the tourist card and some FM3’s. It is important that the reader understand that while this translation was carried out by a native English speaker, fluent in Spanish, in the manner truest to its original text, the nature of translation and the genre of language used in legal documents make it necessary to take certain liberties and change the order of the words so that they make sense and are aesthetically pleasing in English. This document is for informational purposes and it, or any other translated document, should not be used as legal proof or justification before any authority. I. VISITOR WITHOUT PERMISSION TO REALIZE REMUNERATED ACTIVITIES. The foreigner is authorized to traverse or remain in national territory for an uninterrupted period no longer than one hundred and eighty days, counted from the date of entrance, without permission to realize activities subject to remuneration in the country. This classification is equivalent to the traditional tourist card. It grants up to 180 days of vacation in Mexico with no permission to work or realize any activity for which the tourist would receive payment. II. VISITOR WITH PERMISSION TO REALIZE ACTIVITIES REMUNERATED ACTIVITIES. The foreigner who has a work offer, invitation from any authority or academic, artistic, sporting or cultural institution for which they will receive remuneration in the country, or who will realize a remunerated seasonal activity in virtues of international treaties celebrated with foreign entities, is authorized to remain for an uninterrupted period of no more than one hundred and eighty days, counted from the date of entrance. There is discussion whether or not this classification is going to be the equivalent to the old FM3/Non-Immigrant with permission to work or if this is going to be a new classification all together. This classification is not renewable and only is valid for 180 days, therefore whoever possesses this classification must leave the country after working here for 180 days. It will be interesting to see what the regulations of the law say about this. III. REGIONAL VISITOR. The foreign national or resident of neighboring countries is authorized to enter the border-region with a right to enter and exit the region the number of times they desire, as long as they do not remain more than three days but may not receive remuneration in the country. By means of administrative policies, the Ministry of Government will establish the validity of the authorizations and the municipalities and states that make up the border regions, for effects of granting the condition of regional visitor. The classification of REGIONAL VISITOR is equivalent to the current FM3/Non-Immigrant document that is given to Local Visitors. This document is traditionally granted to people living in border regions (Belize, Guatemala, Texas, etc…) who regularly cross the border for personal/family reasons but do not intend to work or receive payment in Mexico. There is no specified lapse of time of validity in the law, the current Non-Immigrant Local Visitor document is given for five-year periods, but this can change at any time. IV. BORDER-REGION LABOR VISITOR. The foreigner who is national of countries which the United Mexican States share territorial limits is authorized to remain up to one year in the states determined by the Ministry of Government. The border-region labor visitor will have permission to work in exchange for remuneration in the country, in the activity related with a previous employment offer and has the right to enter and exit national territory as many times as he desires. The classification of Border-Region Laborer is equivalent to the FM3/Non-Immigrant document of the same name. 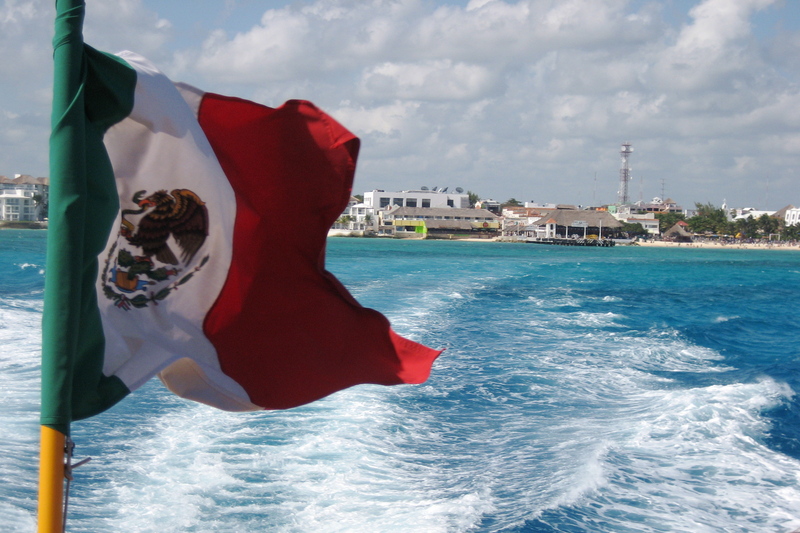 The current permission allows citizens of Belize and Guatemala to work and live in the states of Chiapas, Quintana Roo, Tabasco and Campeche, pending a previous employment offer. a) Being victim, witness or injured party of any crime committed in national territory. For effects of this law, subject to other applicable legal dispositions, the person who is the passive subject of criminal conduct, independent of the identification, apprehension, trial or conviction of the perpetrator and without regard to the familiar relation to the perpetrator, is considered the victim or injured party. b) Being non-accompanied immigrant minor*, en terms of article 74 of this law. c) Having solicited political asylum, possessing refugee status or complementary protection of the Mexican Government, until his/her migratory status is resolved, in terms of article 54 of this law. The Ministry of Government may also authorize the status of Visitor for Humanitarian Reasons to foreigners who do not meet the previous hypotheses, when a humanitarian cause or public interest exists that makes his/her entrance or assimilation in the country necessary, in which case permission to work for remuneration will also be granted. VI. VISITOR FOR PURPOSES OF ADOPTION. The foreigners linked to the process of adoption in the United Mexican States is authorized to stay in the country until an executive resolution is reached and in that case, until the new birth certificate of the adopted minor* has been issued by the civil registry and the respective passport and necessary permits have been obtained in order to guarantee the exit of the adopted minor* from the country. This authorization will only be granted to citizens of countries that have celebrated treaties regarding adoption with Mexico. These last two classifications are fairly self-explanatory and fit very much with the humanistic trend that Mexico is going through with its legislation. The special classification given for purposes of adoption is, in the opinion of the author, a step in the right direction towards the encouragement of international adoption in Mexico. *The actual words used in this subsection are “niña, niño o adolecente”, which translate to “girl child, boy child or adolescent”. This wording is found commonly in much of the newer Mexican legislation, which has in recent years experienced a very humanistic trend. The word minor was substituted for aesthetic purposes, but it might be important to know the original wording in this case.